Surrounded by lofty hills from all sides is the magnificent Fort City of India, Gwalior. Home to a number of palaces, temples and monuments, the city has a glorious history and a rich culture to offer. Breathtaking views, a brush with the good old days, local delights and a royal stay are a few of the things you don’t want to miss. Need some more motivation to pack your bags? 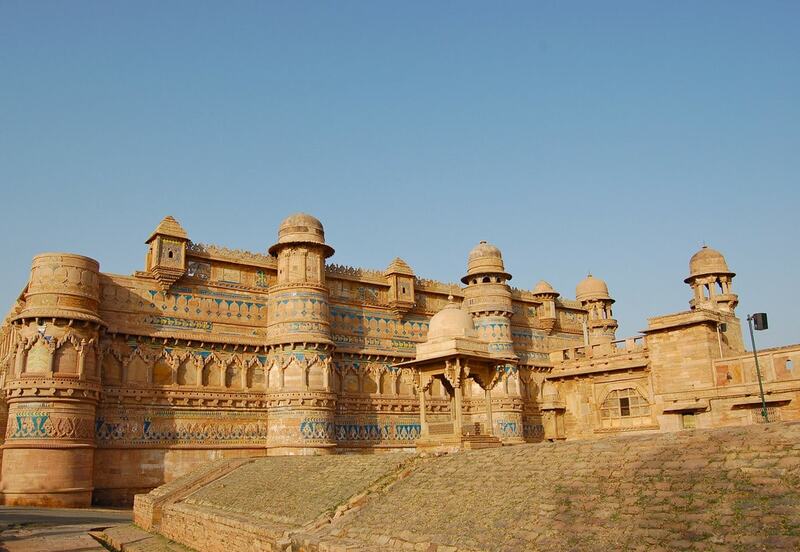 Read our 11 reasons why visiting Gwalior is a must. History comes alive as you take a walk inside the majestic Gwalior Fort. Known to be one of the most impenetrable fortresses of India, it was called ‘the pearl in the necklace of the forts of India’ by the Mughal Emperor, Babur. How about a peek into the past? Make sure to see the Light and Sound show hosted every evening at the amphitheatre here. During the rebellion of 1857, Rani Lakshmibai (Queen of Jhansi) reached Gwalior by fighting the British army and sought shelter inside the Gwalior Fort. To commemorate her bravery, a big statue of Rani Lakshmibai at Phul Bagh on her horse was built in the spot where she took her last breath. A few places in the city have also been named after her. Gwalior has many remains of Hindu religion in the form of great temples and shrines. There is the Saas-Bahu Temple (Sahastra Bahu Ka Mandir) dedicated to Lord Shiva and Lord Vishnu. Teli Ka Mandir, residing in the same complex, is known to be the highest building of Gwalior. The Sun Temple and Gopachal Parvat are also well-known places. A holy pilgrim centre, the Surajkund, is a large tank believed to have magical water. Jai Vilas Palace houses the great Scindia legacy in Gwalior. An elegant piece of architecture, the palace showcases a blend of Italian, Tuscan and Corinthian art forms. 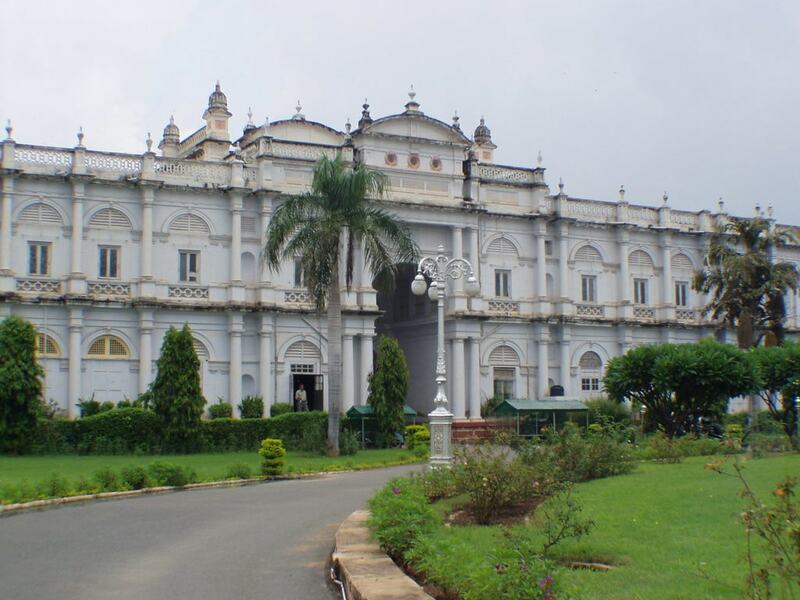 A major part of the Jai Vilas Palace, the Scindia Museum, is famous for its crystal staircase and a mini silver train used for serving food by the royal family. Another surprise is that the palace has two of the largest chandeliers in the world, weighing three and a half tonnes, along with the largest hall carpet in Asia. 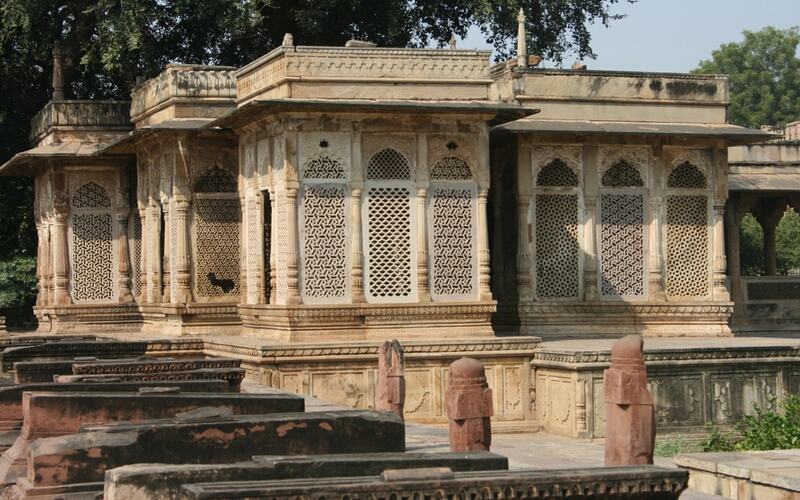 The first – and the most – admired singer in the court of Emperor Akbar, Tansen, was born in Gwalior. And so were some of the best-known musicians of India. 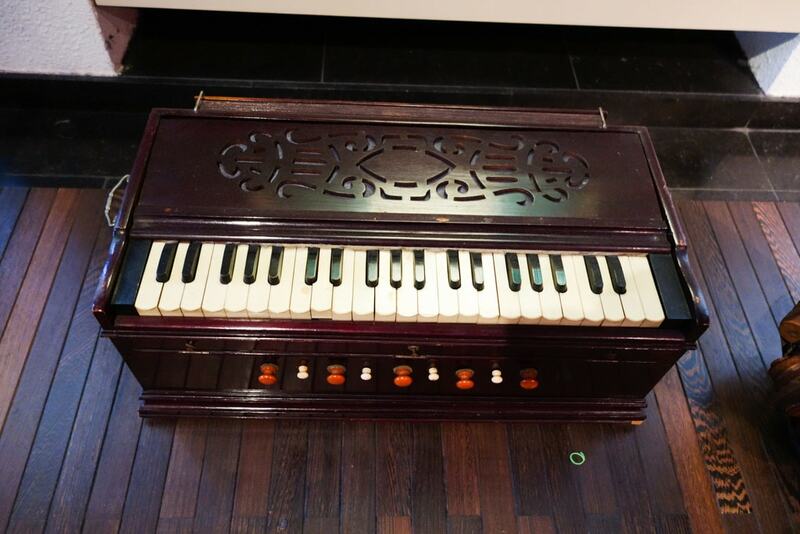 The Sarod Ghar (Museum of Music), set up in the ancestral house of musician, Hafiz Ali Khan, has a huge collection of ancient instruments played by Indian masters in the olden days. As a tribute to Tansen, Gwalior hosts the Tansen Sangeet Samaroh (Tansen Music Festival) every December. This four-day music festival organized at the Tansen Tomb is where musicians and artists from all across the country gather. For Indian classical music lovers, this festival can surely be a bait to visit Gwalior. Bonus points: December is one of the best months to visit the city! Known as one of India’s most colourful fairs, and the largest in Madhya Pradesh, the Gwalior Trade Fair is where you get to see the rich culture and heritage of central India. From the second week of January until February, this fair remains the centre of attention among people from far and wide. Musical nights and cultural evenings are an integral part of the fair. With a great number of swings, different colours and lights, the Gwalior Trade Fair is a must visit. Gwalior specializes in traditional souvenirs from the state of Madhya Pradesh. There are various shops in the Patankar Bazaar and near Lashkar that offer a wide range of art and craft products. Wall hangings, handwoven carpets, lacquerware, dolls and jewellery are quite popular. Maheshwari and Chanderi sarees, leatherware and metalcraft are famous as well. Make sure to carry extra shopping bags because you’ll end up buying more than you might have planned! Gwalior mostly offers popular North Indian dishes, but with a special twist of its own. 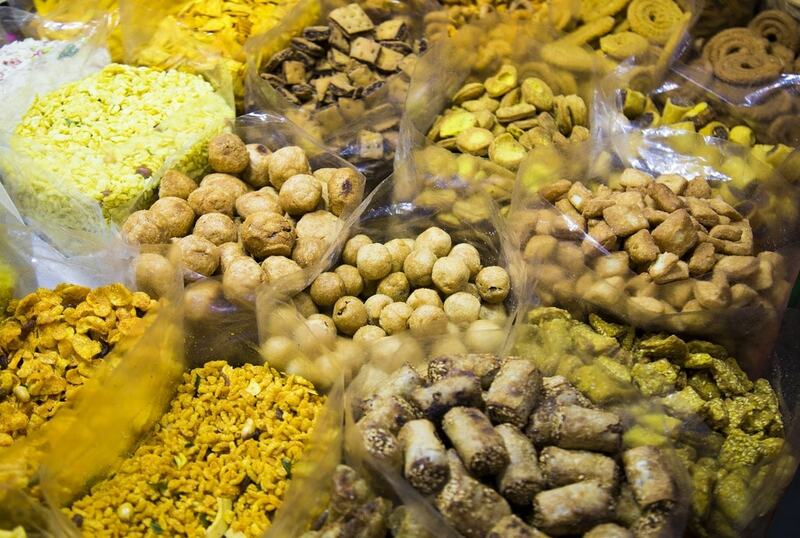 A few local products are famous all over Madhya Pradesh like the spicy and salty snack, namkeen and gajak, which is a crunchy and sweet preparation made with sesame seeds and jaggery. A must-try is the street food at Chaupaati and the Royal Thali at the Taj Usha Kiran Palace Hotel. Want to experience royalty on your trip to Gwalior? Well, your wish can come true with hotels like the Gwalior Regency, Taj Usha Kiran Palace and Hotel Adityaz. Luxuriously decorated rooms, free WiFi, outdoor pools, spas, on-site restaurants, car rentals and currency exchange are some of the many services available. So, feel pampered to the core as you enjoy your stay here. Love sports and fun activities? Gwalior has something just for you. Paddle your way across the Tighra Dam as you enjoy boating or just chill with family and friends. Take part in rock climbing and cycle on the western side of the Gwalior Fort, Urvai Gate. And to brush with wildlife, visit the Madhav National Park near Gwalior and enjoy valley crossing, trekking and rappelling.